It's almost Friday, let's celebrate with a starburst. 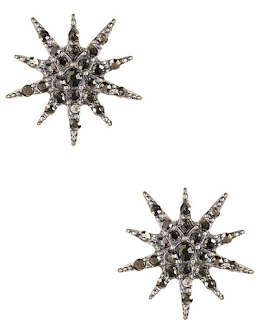 A beautiful, eye catching, celebratory shape that usually a bit bigger and bolder than your normal jewelry. For that reason, I like to pair it with heavier knits. I'm starting with my favorite. 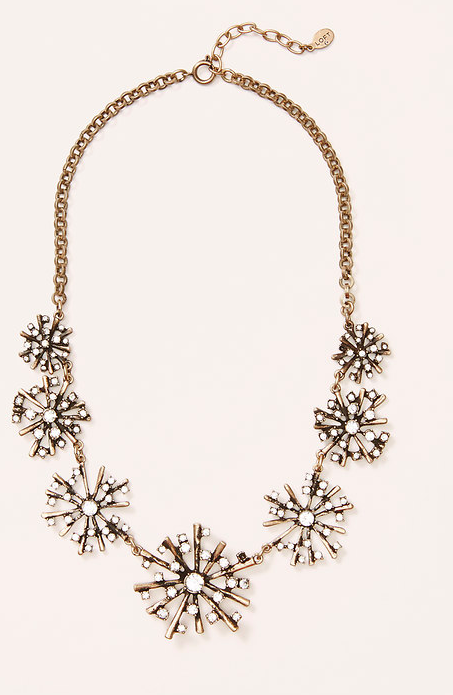 This necklace is perfectly fall and perfectly holiday. Its also a bit different in the bronze metal aspect. A great silver option with an even better price! How about a sweeter option? 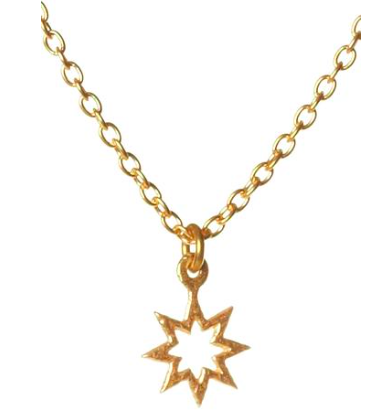 I like this simple charm necklace. 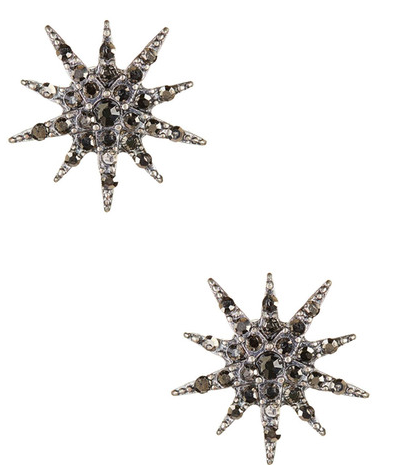 A BaubleBar best seller, you've got to love a bright and blinged drop earring. 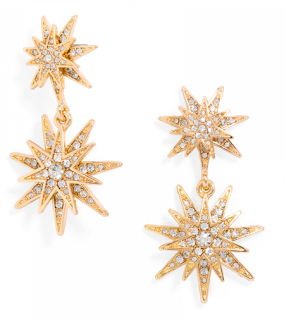 A starburst shape for jewelry is just a happy way to add detail to your outfit. 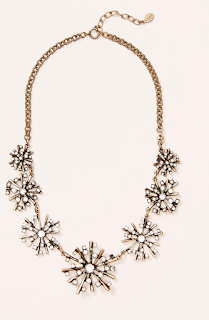 It's bold and daring and I love it for winter.